Notre Dame’s rector said the burned Paris cathedral would be closed for up to six years. Bishop Patrick Chauvet acknowledged that the monument would close down for almost “five to six years” as he spoke with local business owners Wednesday, two days after a blaze torched the roof of the cathedral and brought down its spire. He added that it was still unclear what the Church’s 67 employees would be doing for these years. 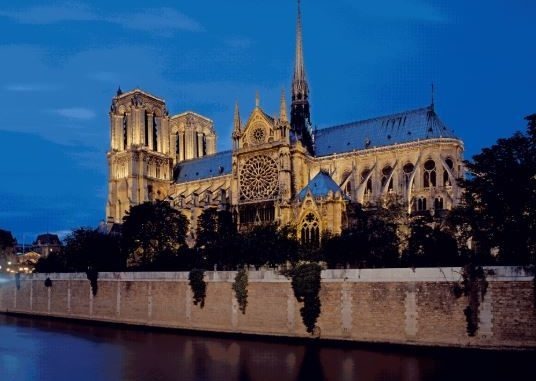 The French prime minister, Edouard Philippe has announced an international architects’ competition to rebuild the spire of Notre Dame Cathedral. Philippe said the competition aims at “giving Notre Dame a spire adapted to technologies and challenges of our times.” He said authorities have no estimate yet of the total cost of the renovation work. 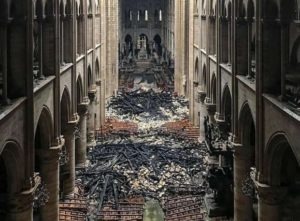 The French President Emmanuel Macron will hold a special cabinet meeting on Wednesday, the 17th of April to discuss the reconstruction of the cathedral. Investigators who are working on the Notre Dame’s fire accident said, they haven’t still visited the cathedral inside as it remained unsafe. Investigators giving interviews said that the inquiry will go on until prosecutors uncover “the truth and identify the origin” of the blaze. 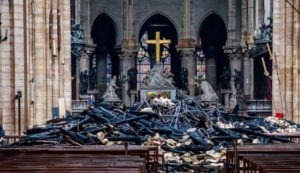 On Tuesday, investigators questioned 30 witnesses, including employees of companies involved in the church’s restoration and security personnel.